Save Up To 60% On Move Tickets! 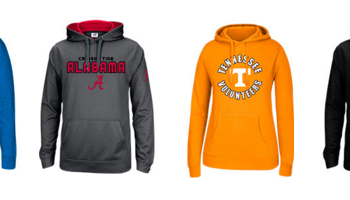 FinishLine.com has select NCAA hoodies, sweatshirts and zip ups on sale for $17.50 each (regular $40) when you buy two. Shipping is free! Just click here and pick your favorite team to see what styles are available.